The London Climate Change Partnership, LCCP is the centre for expertise on climate change adaptation and resilience to extreme weather in London. We are driving forward awareness and action on climate change so that London is able to remain a great place to live, work, visit and do business. London is a world centre for finance, transport, politics and culture. The capital is a great city to do business and invest in because it has the vitality, skills, quality of life and infrastructure. However, many of the factors that attract and retain business and investment are vulnerable to our current and future climate. 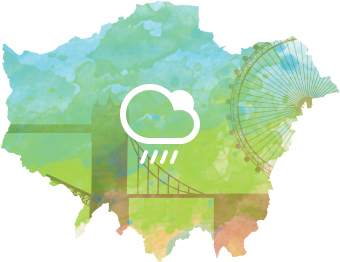 LCCP is comprised of public, private and community sector organisations that have a role to play in preparing London for extreme weather today and climate change in the future. We have worked to increase climate resilience within and between sectors in London for the last decade. In that time we have made a lot of progress and collectively understand more now about the city’s vulnerabilities and the impacts we expect climate change to have. But there is still much to do. We have renewed our focus in our vision to 2020 to set out what needs to be done next.